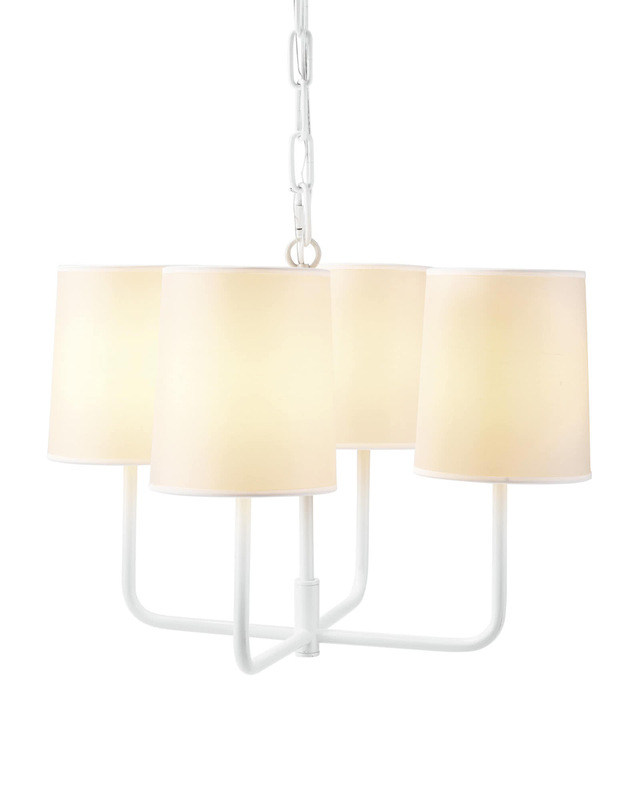 Fairmont ChandelierFairmont Chandelier, White Enamel alt="Fairmont Chandelier, White Enamel"
Print Elegant in its simplicity, this is one of those design elements that catches the eye and never goes out of style. Slender arms keep things light. 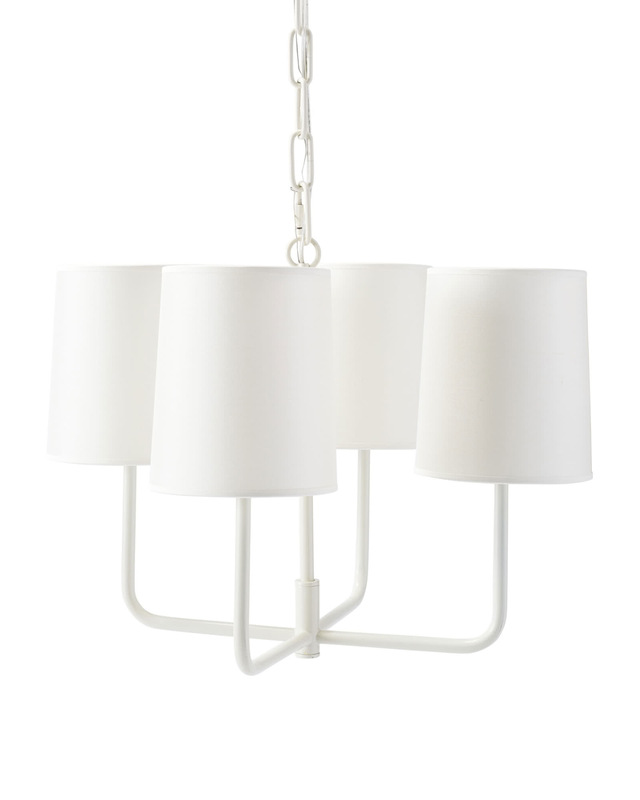 Small uses four Candelabra Bulbs, 40W max. Large uses eight Candelabra Bulbs, 40W max. Small: 20”W x 14”H overall. Large: 31”W x 25” H overall. This item ships directly from our manufacturer within 1-3 business days of order receipt. Once the item has shipped, please allow 5-7 business days for delivery. Expedited shipping is not available for this item. We deliver within the continental United States.